Imagine if a lid on a coffee pod was preventing you from getting your much-needed morning cup of joe. According to CNN Money, Keurig K-Cups are made with small radio frequency emitters that the Keurig 2.0 reads. If the coffee maker doesn't get the right signal from the coffee pod, you're out of luck. 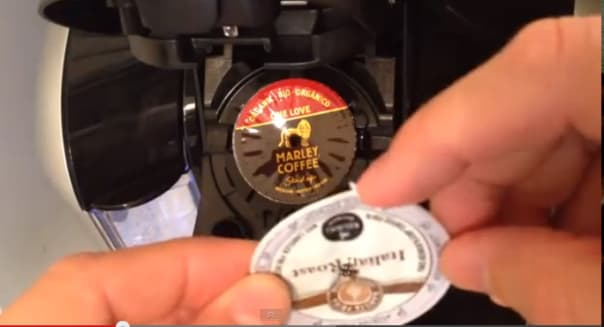 Some hackers have figured out that simply taking a lid from a licensed K-Cup and putting it on top of an off-brand K-cup will trick the new Keurig into brewing your coffee. You can see a video of the hack in action on KeurigHack.com. If you'd like a permanent solution, there's a hack for that, too. According to Wired: "Alternately, the [KeurigHack.com] video suggests attaching the strip to the machine itself to permanently fool it. Just tape it in there, up in the left: over the open rectangular space." Not surprisingly, Keurig is not happy. A spokeswoman told Business Insider: "Going through the process to hack the system inherently adds complexity to a process we've designed to be simple for consumers. With 400 varieties from 60 brands, including all of the top 10 best-selling coffee brands in America, we're confident we have a wide range of beverage choices that will suit every taste." Keurig's coffee pod restrictions are the subject of many scathing reviews online, as well as several lawsuits, CNN Money said. In November, Keurig boosted its K-Cup prices by 9 percent. I had issues with the Keurig 2.0 a few weeks back, when I was using my parents' new machine. I could not get a Keurig Green Mountain gingerbread coffee K-Cup to work in the machine. I tried three different cups, and none of them worked. My mom called Keurig and was told the K-Cups were several months old, and even though they're made by Keurig, they didn't have the right kind of top, so I was out of luck. I settled for a breakfast blend K-Cup instead. Keurig agreed to ship a new box of the gingerbread coffee K-Cups to my folks -- and I've passed on this hack to my parents.